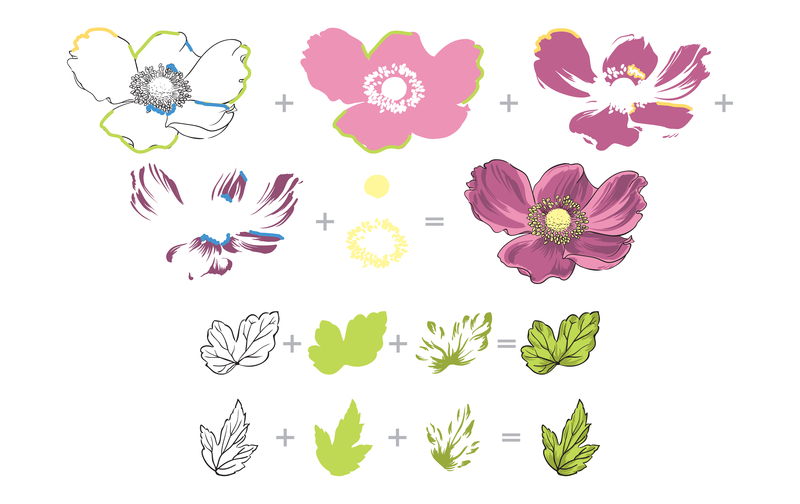 Our Build-A-Flower: Anemone set includes 1 6" x 8" stamp set (15 stamp images) and 1 coordinating die set (3 dies). Dimensions: The largest die measures about 3.40" x 2.40" while the smallest die measures about 1.28" x 1.45". The stamp and die set create beautiful flowers effortlessly. This set is really perfect without effort. The layering properties are so easy to use and I enjoy using it often! You can create a coloring book with this! My favorite thus far would be the Build-A- Flower: Anemone. This stamp set is large and very easy to use, also I did purchase the dies to this stamp set. You can also create a coloring book with the clear stamps. The layering guide on the back of the package is very easy to follow.